Anita O'Day, Hooray For Hollywood. Dory Previn, Mary C. Brown and the Hollywood Sign. Judy Garland, Dear Mr. Gable (You Made Me Love You). Billy Bragg and Wilco, Ingrid Bergman. 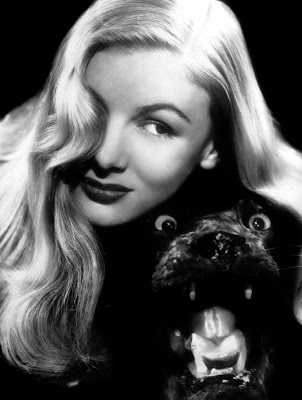 New Bomb Turks, Veronica Lake. The Upsetters, Big John Wayne. Kim Carnes, Bette Davis Eyes. Blue Oyster Cult, Joan Crawford. Nirvana, Frances Farmer Will Have Her Revenge On Seattle. The Clash, The Right Profile. The Beach Boys, A Young Man Is Gone. Siouxsie and the Banshees, Kiss Them For Me. Cunningham, Norma Jean Wants To Be a Movie Star. Dory Previn, Starlet Starlet On the Screen, Who Will Follow Norma Jean? I am Hollywood, The Movies, The Faceless One with ten thousand faces. I am all Ages, all Bloods, all Sexes...I am the Three Graces. I am all Beauty...Venus, Eve, Ishtar, Kwanyin and Dirty Gertie. I am the Great Hermaphrodite...Male, Female and Neuter. Garbo, Gable, Grable, Bergman, Crawford...and Jane Russell. Don Blanding, "The Faceless One." Randall Jarrell, "The Lost World." In a five-cent moviehouse on 42nd Street, New York, the shabby man slumps into a seat. What's on the screen barely catches his attention--it could be the "Onward to War" sequence in Duck Soup. Or Garbo in Queen Christina. Or Jolson in Hallelujah, I'm a Bum. Or Stoopnocracy. Or even King Kong. Whatever the film is, it does enough for him--it sings, sparkles, lets his mind drift. He dozes for a bit, rouses in a shudder, watches the faces shine before him. 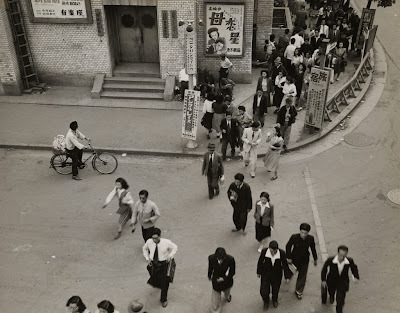 When the picture ends, he hauls himself from his seat, walks out of the theater, down the street to the next one. He buys a ticket, slumps into another seat. This is the writer John O'Hara. It's 1933, and, after having written 25,000 words of a novel, he is completely broke. So he's drafted letters to three publishers, with a synopsis of what he had written and essentially begging for an advance so he could complete the book, put the letters in the mail, walked up to Times Square and has spent all day in the movies. The story ends as any hack scriptwriter would craft it--O'Hara came back from the pictures to find messages to call all three publishers. The novel became Appointment in Samarra (which is finally being made into a film now, joining sister O'Hara adaptations BUtterfield 8 and Pal Joey), O'Hara became famous, drunk and bitter. But the rest of his fellow filmgoers, the confederacy of dreamers sitting in the stalls, went home to nothing but a room, and so they came back to the movies the next day. This was the Golden Age of Hollywood. The movies characteristically offer us packs of lies, but we would not consume these lies so avidly unless we needed them...Movies preserve our moral slumber in the way that dreams are said to preserve our sleep. Michael Wood, America In the Movies. From the dawn of sound films to the end of World War II, with a murky regal twilight that extended into the early '60s, the movies ruled the world's assorted daydreams and fantasies. 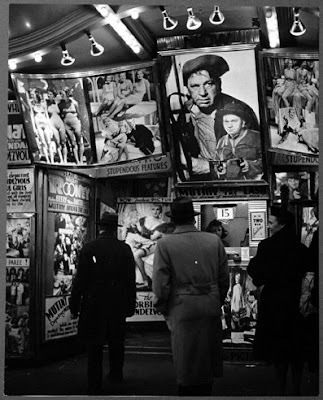 We are quickly losing the last generation who remember what it was like--opulent movie palaces in every town, people going to the pictures as a nightly ritual, double-features, newsreels, cowboy serials. 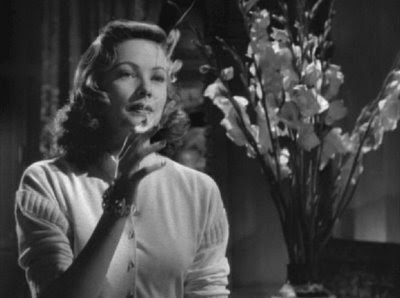 And most of all, the grand constellation--Wayne, Garbo, Cagney, Gable, Harlow, Jimmy Stewart, Myrna Loy, Grace Kelly, Bogart, Stanwyck, Randolph Scott, both Hepburns, Gary Cooper, Gene Tierney and so on--that held sway over the common imagination. Consider an average person in the 19th Century, born in, say, the Upper Midwest. You grew up in a small town, surrounded by people you had known since childhood, married someone you likely had known since childhood, and so your standards of beauty and elegance were dictated solely by what you had seen. Perhaps a few times in your life you went to a city, caught a glimpse of a society goddess or saw a painting in a gallery. Now imagine someone living in a small town in the Upper Midwest in 1935. Every night, the guy or girl goes down to the cinema and gorges on beauty, in varieties formerly available only to emperors. Hollywood is a great bazaar, its vendors importing the cream of every country (Sweden sends Garbo and Bergman, France sends Claudette Colbert, Belgium sends Audrey Hepburn) and lighting them perfectly, styling them immaculately, giving them words to say that were written by Faulkner or Fitzgerald or Ben Hecht or Joseph Mankiewicz. The final result is, naturally, overwhelming. The effects of the toxin have yet to be fully realized, but there is little doubt the movies have seriously warped the human race. Yet isn't life a bit more colorful than it would have been otherwise? And so in various songs about Golden Age movie stars, the sense of adoration is inescapable, with the likes of Bogart or Bette Davis treasured as icons and ruling as metaphors, standing for whole provinces of the imagination left barren by their absence. The stars, in turn, were the contracted property of the great studios: schizophrenic RKO, producing Citizen Kane, Bringing Up Baby and the great Astaire/Rogers musicals along with the indulgences of millionaires Howard Hughes and Joseph Kennedy and "a long procession of ineffectual dreamers and bottom-line mediocrities" (Andrew Sarris); Warner Brothers, home of gangsters, delinquents and Bugs Bunny; Universal, empire of the specters (Dracula, The Mummy, The Wolfman, Frankenstein and their countless progeny); 20th Century Fox, saved from bankruptcy by Shirley Temple; elegant Paramount, which, with its ties to Germany's UFA, brought us Ernst Lubitsch and Marlene Dietrich (and yet which offered the Marx Brothers and Preston Sturges at their most anarchic); Columbia, the house Frank Capra built, which was run like a scrapyard by tightwad philistine Harry Cohn. 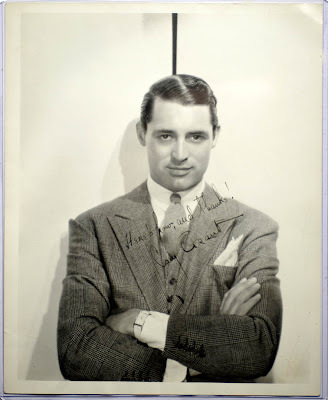 And the king of them all, MGM, whose heads Louis B. Mayer, Irving Thalberg and David Selznick held as much imaginative power over the American people as did Franklin Roosevelt. Despite their various styles and specialties, the studios formed one plural: "the movies," an assembly-line dreamland generating 700 new pictures a year to feed viewer demand, which was insatiable. 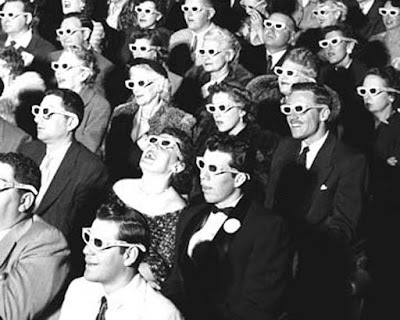 From 1939 to 1945, 85 million people went to the movies every week in the U.S., and consider that the total U.S. population at the time was about 135 million. In 1946, the absolute peak of the age, 100 million people went to the movies in a given week, while the average person saw 34 movies in one year. The movies were equalizers, levelers, consolidators. So Ginger Rogers cracks a joke about Gertrude Stein in Top Hat, Byron and the Shelleys turn up in the prologue to Bride of Frankenstein, and someone asks Elvis what he thinks about Lennie Tristano in Jailhouse Rock. 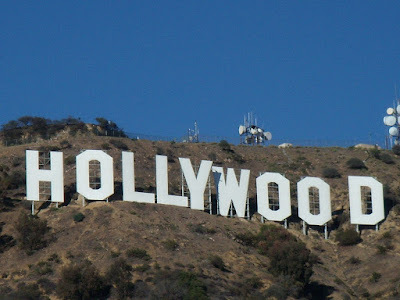 "Hooray for Hollywood" was written in 1937 by Johnny Mercer and Richard Whiting for the Busby Berkeley musical Hollywood Hotel, and it soon became the town's theme song, being both celebratory and wryly deprecating (though over time, it became purely a booster anthem, played at movie awards shows without any sense of irony). This version, recorded by Anita O'Day using a Jimmy Guiffre arrangement (and with some updated lyrics), is from 1959, on the now out-of-print LP Cool Heat. When I was twelve or thirteen I went to movies all the time--American movies. But I did not know there were directors of movies. I always thought the actors did everything. Federico Fellini, interviewed by Lillian Ross. Judy Garland's mash letter to Clark Gable, which she performed at age 15 in The Broadway Melody of 1938, made her famous and led her to land the role of Dorothy in The Wizard of Oz. So "Dear Mr. Gable" is a Möbius strip of a song, celebrating and begetting stardom in turns. On The Best of Judy Garland. Maybe it is like the dreams you have when some one you have seen in the cinema comes to your bed at night and is kind and lovely. He'd slept with them all that way when he was asleep in bed. He could remember Garbo still, and Harlow...But he could still remember the time Garbo came to his bed the night before the attack at Pozoblanco and she was wearing a soft silky wool sweater when he put his arm around her and when she leaned forward her hair swept forward and over his face and she said why had he never told her that he loved her when she had loved him all the time? She was not shy, nor cold, nor distant. 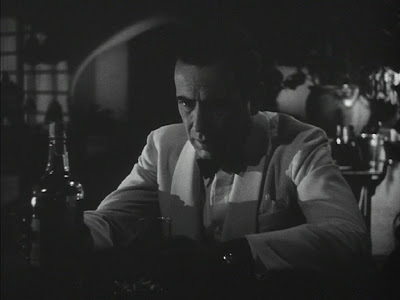 The Bogart man is not defined by his accidental respect, or his contempt, for bourgeois values, by his courage or his cowardice, but above all by this existential maturity which gradually transforms life into a stubborn irony at the expense of death. André Bazin, "The Death of Humphrey Bogart." If I had to choose one image by which to remember Bogart, it would be of that one mysterious moment in The Big Sleep when Bogart finds himself alone in a sinister room...Bogart seems lost in thought as he looks for some invisible clue. But he is no merely deductive detective; he has staked his whole life on the solution to the mystery. He has thus brought to the screen his own very personal gravity. That is why he has proved to be irreplaceable in the decades since his death. Andrew Sarris, You Ain't Heard Nothin' Yet. With the needle (close-up) leaping to eighty. Norman Rosten, "Nobody Dies Like Humphrey Bogart". "2 HB," Bryan Ferry's tribute to Bogart, is on Roxy Music's 1972 debut album. Ingmar Bergman, on Ingrid Bergman. 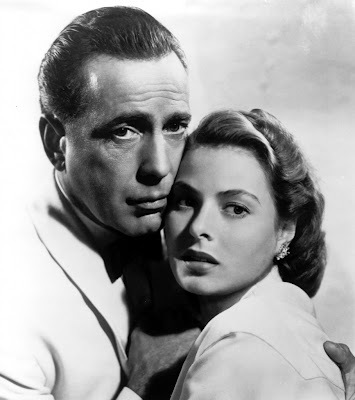 When Rossellini the love pirate returned to Rome smirking over his conquest, it was not [Bergman's] scalp which hung from the conquering hero's belt; it was her very soul. Now what his left of her has brought two children into the world--one has no mother, the other is illegitimate. Sen. Edwin C. Johnson, speaking on the floor of the U.S. Senate, 14 March 1950. During the hour-long speech, Johnson also called Ingrid Bergman a "free-love cultist," an "apostle of degradation" and a "powerful influence for evil." 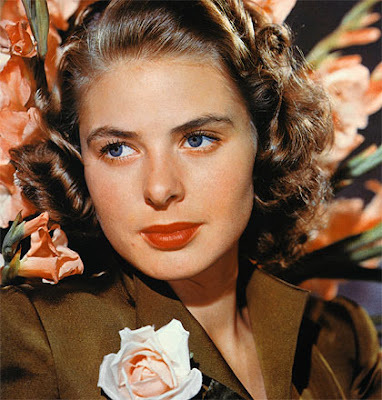 In 1949, Ingrid Bergman, one of the most popular film actresses of the decade, fell in love with the director Roberto Rossellini, had a child out of wedlock with him, and left her husband and daughter. Bergman was more artistically ambitious than many at the time recognized, and her affair with Rossellini was in part a way to escape conventional Hollywood pictures and make more realist, less commercial films. The resulting scandal had Bergman denounced in the press, excoriated by politicians and eventually sent into exile in Italy. The fracas didn't end Woody Guthrie's crush on Bergman, though--his ode to her, referencing Stromboli, the first film Rossellini and Bergman made, was written around 1950 and was put to music by Billy Bragg decades later; on Mermaid Avenue. In truth, the Blonde Bombshell was the accidental invention of an inept hairdresser. She emerged from the hair-dryer overcooked and white-hot platinum, making us forget there were blondes before her. It hardly mattered that this was a mistake; the look took and the rush was on. All across the country, drug stores had a hard time keeping stocked in peroxide. Harry Haun, on the 50th anniversary of Jean Harlow's death, 1987. Michael McClure, "La Plus Blanche." Leadbelly strikes his guitar, yelps, delivers the news: "Jean Harlow died the other day," he sings. Recorded in 1944, on Mount Everest of Blues Singers. "Veronica's witch-lock received the stamp of approval of young girls the country over"
Veronica Lake? Isn't that the actress that Kim Basinger's character in L.A. Confidential kept getting mistaken for? Isn't that a reference that goes even further back than, say, Whitesnake? 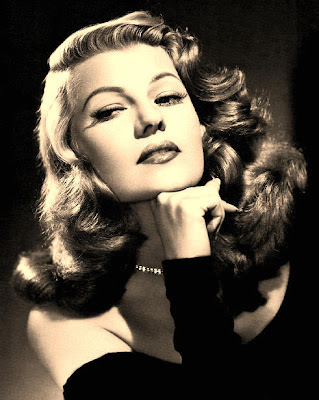 "Yeah," says Davidson, "even my parents went 'Oh yeah, Veronica Lake.' But it was just because I had been renting some movies she was in, and I like old '40s film noir and she was in a couple of them. And she's real hot." There you go. The New Bomb Turks, from Columbus, Ohio, have been making records since the early '90s, "Veronica Lake" is on 1998's At Rope's End. on a plateau by the seashore. Allen Ginsberg, "The Blue Angel". 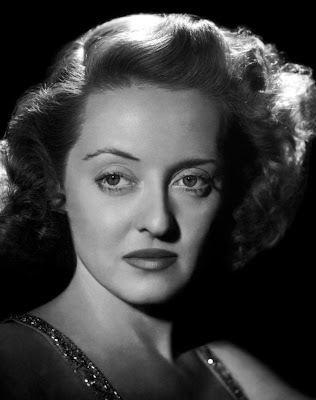 Bette Davis had wanted to play Scarlett O'Hara in Gone With the Wind, and still seethed about it decades later. "It could have been written for me," she said of the script. "It was insanity that I not be given Scarlett. But then, Hollywood has never been rational." The moment Bette Davis appears on the screen there is an undercurrent of anxiety, her persona is projected not yearningly...but in the manner of woman who knows she has few options. 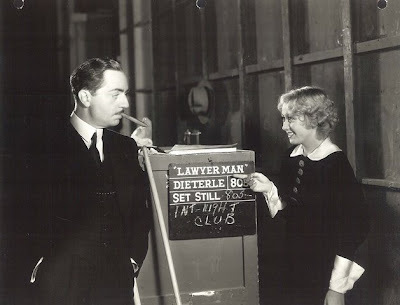 Something has to Happen, and Quickly, for Bette Davis cannot sustain herself on complacency and self-satisfaction. She cannot play a waiting game; she must act for all she is worth, and she always did. Sarris, You Ain't Heard Nothin' Yet. "Bette Davis Eyes" by Kim Carnes, was one of the inescapable hits of 1981--a marriage of inspired Hollywood nostalgia and early electronic percussion. On Best Of. 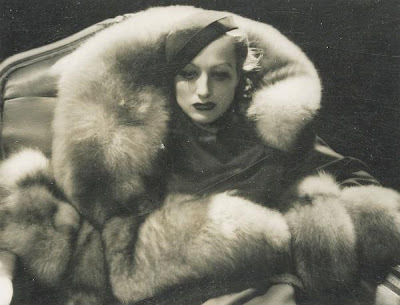 Joan Crawford is the closest thing the movies had to Richard Nixon--she was ruthless, ambitious, skilled, cursed with an inferiority complex, forever nursing grudges, often resenting those to whom stardom came more naturally. She was more respected than loved, more feared than admired. She climbed to the top, and wound up becoming a dark joke in her later years; after her death she was defamed in the movies. The zombie-like resurrection of Crawford is on the Blue Oyster Cult's 1981 Fire of Unknown Origin. is still life unchanging, not nature dead. the genius happy...a generic actor. 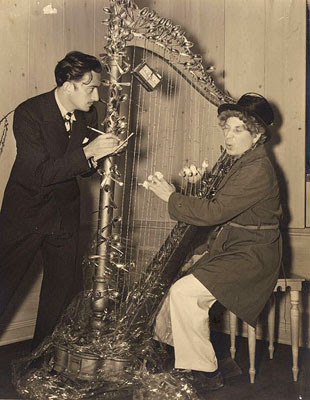 Jack Kerouac, "To Harpo Marx." "Audrey" is Dave Brubeck and Paul Desmond's lullaby to Audrey Hepburn, who had just become a star with Roman Holiday and Sabrina. 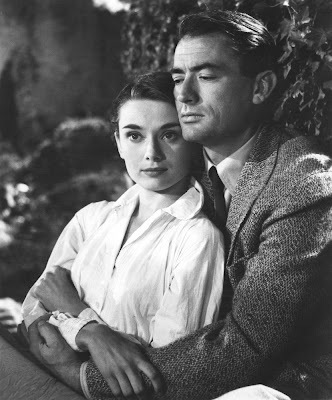 The Brubeck quartet was in the studio with photographer Gijon Mili, and was ready to record a "minor blues," when Mili closed his eyes, raised a hand and suddenly declared: "I'd like to see Audrey Hepburn come walking through the woods." Saxophonist Paul Desmond, his eyes glazing over, said "Gee, so would I." Brubeck counted to four, the quartet began playing, and "Audrey" was born. Reportedly, Hepburn loved "her tune" and would hum it while tending her garden. With Bob Bates (b) and Joe Dodds (d). Recorded 12 October 1954; on Brubeck Time. rode to town on the Malibu bus. she jumped off the letter "H"
'cause she did not become a star. she looked a bit like Hedy Lamarr. Dory Previn, "Mary C. Brown and the Hollywood Sign." As Hollywood was a dream factory, it had its share of casualties, discarded products and exploited workers. 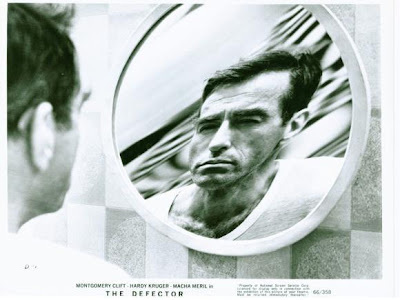 Its films often were written by drunks, directed by lechers, and starred egomaniacs, closeted gays, depressives, nymphomaniacs and dullards. The brilliant glow the movies generated had lasted for years, but by the time the studio system began to wane in the '50s, the shadows had covered the factory floor. Dory Previn was born in 1925--her father, a shell-shocked WWI veteran, pushed her to be a performer and once locked her and her mother in their house for weeks. 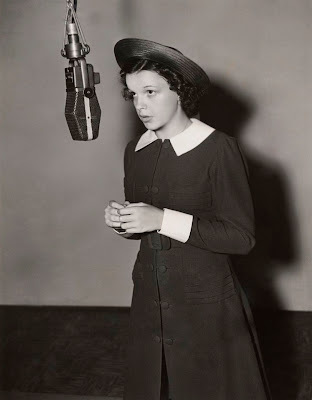 By the '50s, Dory had become a songwriter at MGM, where she met her songwriting partner and husband, Andre Previn. She wrote "The Faraway Part of Town" for Judy Garland, "Come Saturday Morning" for the Liza Minnelli film The Sterile Cuckoo, and the theme song to Valley of the Dolls. In the late '60s, Dory was hospitalized for schizophrenia while her husband ran off with Mia Farrow (prompting Dory to later write "Beware of Young Girls," while, in a dose of pure karma, Farrow and Previn's adopted daughter would run off with Farrow's then-lover Woody Allen decades later). In 1972, Dory Previn made a concept album about Hollywood. It's a bitter, relentless, scattered, wry, pissed-off record, a deposition from someone who'd been in the game for years and has had enough of it. Along with Nathanael West's Day of the Locust, Fitzgerald's The Last Tycoon, James McCourt's Kaye Wayfaring in "Avenged" and Darcy O'Brien's A Way of Life, Like Any Other, it's one of the best, bluntest things written about Hollywood, and it's essentially been forgotten. 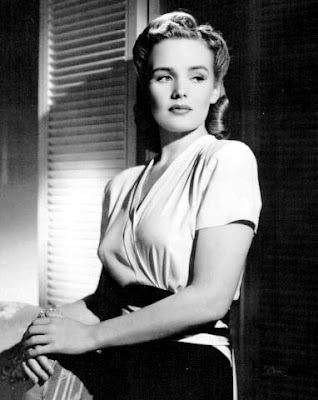 Hollywood had its occasional martyr, like Frances Farmer, who as a high school student wrote an essay called "God Dies": she went from being considered the next Garbo to being declared insane and institutionalized in the '40s. She's best known today as the subject of the Jessica Lange bio-pic and for inspiring Kurt Cobain's song, in which Cobain envisioned Farmer as an avenging angel leaving Seattle in ashes. On In Utero. And then something extraordinary happened in the five years after the Second World War--the movies (which by the end of the war had become something akin to an international church of dreamers) began to die. 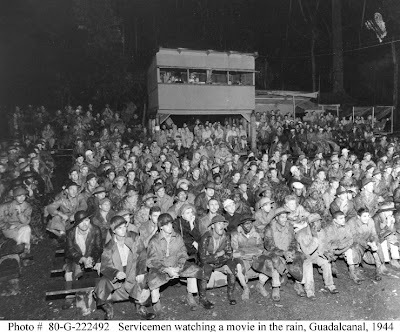 When the war ended, some 100 million people per week on average saw a film in the U.S.; four years later, attendance had fallen to 60 million people per week. And the numbers would keep on dropping, bottoming out in the 1960s and early '70s. You could blame recessions, inflation, the decline of the cities (most theaters were located in traditional downtowns, which were becoming shabby and deserted) and the rise of the suburbs, or the fact that a great many people now had small children to tend. There was the government-ordered separation of film studios and theater chains in 1948, which destroyed the classic Hollywood distribution system; and of course, there was the great usurper television. But there also was something intangible--the sense that perhaps people began to fall out of love with movies during these years. 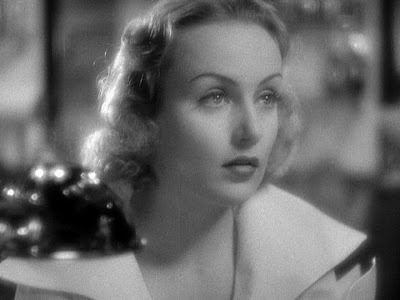 There were still movie stars, of course, though more and more the death impulse--which had been there since Valentino--lay at the core of the mystique: as much as people were in love with stars, they loved them even more once they were dead. 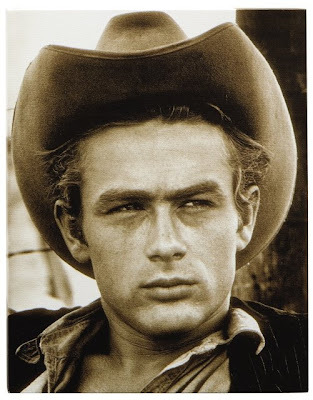 James Dean, who had a lead role in only three films and who then died young and beautiful, became the template. The Beach Boys' "A Young Man is Gone," their tribute to Dean, is somber to the point of ridiculousness, though the harmonies, as always, are transporting. On the 1963 LP Little Deuce Coupe. He said go and fetch me my old movie stills! An English punk rocker sits with his friends in a pub, thumbing through a paperback biography of a dead film actor. He interrupts the talk once in a while to repeat some lurid detail, to throw out a random fact. His friends don't know who he's talking about. "You know--Red River! A Place In the Sun!" Recognition dawns on one skinny punk who has been staring into an empty pint glass. "Maybe The Misfits!" Hollywood is a broken, common language the punks use. "From Here to Eternity." Of the film star, all that remains is base gossip--who he screwed, how much he drank, how many pills he popped, what caused the car accident that ruined his face. "That's Montgomery Clift, honey! "; on London Calling. Jayne Mansfield was one of the last pure products of Hollywood--a Technicolor cartoon of a film actress, and someone who, unlike the more ambitious, pretentious or depressed of her colleagues, loved being a movie star. And so, true to form, she went out in legend and horror, in a car wreck in 1967 in which she was rumored to have been decapitated. It wasn't true, of course, but they printed it nonetheless. "She lay twisted and broken on the side of the road. What a look of horror on her face...frozen in the terror of her fate." "Kiss Them For Me" is Siouxsie and the Banshees' tribute to Mansfield, taking its name from the 1957 film she made with Cary Grant and using, in the lyric, Mansfield's favorite adjective--"divoon." On Best Of. To be dramatic, which seems fitting given our subject, you could say the last tarnished remnants of Hollywood's golden age died in 1962, along with Marilyn Monroe, who was canonized for her miseries, celebrated for her pain, and long entombed, along with her lover JFK, in a celebrity pantheon of the Famous, Beautiful Dead. 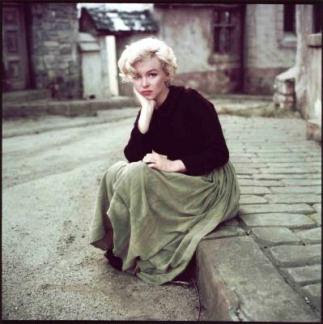 The complexities of the real-life Monroe, who was intelligent, subtle and funny, are scarcely remembered--only the aura of undesired sainthood remains. 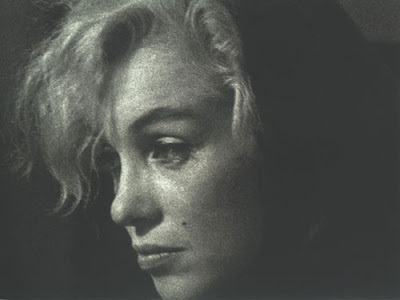 Monroe was the subject of many schlocky tributes, particularly in the '70s--the most famous being, of course, "Candle in the Wind" (though the original studio cut is fairly restrained). Soon after Elton John's hit, the songwriter Johnny Cunningham wrote "Norma Jean Wants to Be a Movie Star" for the dreadful 1976 exploitation film Goodbye, Norma Jean, which was far from the first or the last of the vultures that fed on her legend; on Greatest Hits of the '70s. "THERE AIN'T NO COLOR IN MY MEMORIES"
STARRING AL PACINO, STANLEY KUBRICK, YUL BRYNNER, ROBERT DeNIRO, ANTHONY QUINN, JULIE CHRISTIE, the indefatigable JACKIE CHAN, BRIGITTE BARDOT, ANDREW McCARTHY, WINONA RYDER, MATT DILLON and much more. RESERVE YOUR TICKETS NOW!